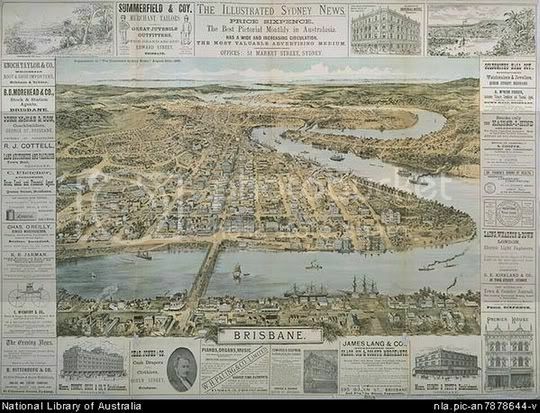 Not one of my City of Sydney but here is a diagram of Brisbane. It's amazing how fast cities have grown over the last 150 years... KC has grew from a couple hundred people in 1846 to 2.1 million in 160 years. Detroit started out as a French fort. Here is a map of the city in 1762, 61 years after the area had been settled. Additionally, an overview drawing of the city in the 1840s or 50s can be seen HERE.